Early February, 1858: gold starts trickling into the taverns of New Westminster. “Nice nugget – where’d you find that?” asks every man jack in the joint. Within months, 30,000 Americans are pounding across our border, sparking conflict with local First Nations and generally making a muck of it. I think about that story sometimes, when I’m sitting in the border lineup to cross into Washington state. Strong borders are like good fences: sometimes they’re necessary to make good neighbours. Global Blockchain Technologies Corp. has announced a name change to Global Gaming Technologies Corp. The symbol will remain “BLOC.U and BLOC.WT.U”. AgraFlora Organics International Inc. (formerly PUF Ventures Inc.) (CSE: AGRA) announce that Natures Hemp Corp., a spin-off company from PUF Ventures, is moving forward with the development of a hemp based coffee creamer. The University of Manitoba is undertaking phase two of product development which includes product and process optimization, increased production scale plus a shelf life study. Rubicon Organics Inc. (CSE:ROMJ) announce that its wholly owned subsidiary Vintages Organic Cannabis Company Inc. has been awarded cultivation and processing licenses from Health Canada. The Cultivation & Processing Licenses were awarded to Rubicon Organics’ 20-acre property with a state-of-the-art 125,000 sq. ft. facility in British Columbia. “Our next generation facility design when paired with our proprietary certified organic production system results in terpene and cannabinoid levels that will be unrivalled in Canada” said Jesse McConnell, Co-Founder and CEO of Rubicon Organics. Irving Resources Inc. (CSE:IRV) has acquired two new gold projects in Hokkaido, Japan. Shimokawa Gold Project Irving recently filed applications for 15 mineral prospecting licenses totaling 48.50 sq km at Shimokawa, an area prospective for hot spring epithermal gold mineralization. Eastern Zinc Corp. (CSE:EZNC) will acquire a large portfolio of mineral rights focused on an emerging carbonate reef district in Nova Scotia, which is highly prospective for zinc mineralization. “The zinc mineralization within Nova Scotia’s Windsor Basin shows significant similarities to other carbonatezinc-lead deposits in the major mining districts of Pine Point (now controlled by Osisko Metals), as well as the mid-Tennessee. With our adjacent property neighbor ScoZinc set to recommence near-term zinc production, Eastern Zinc is well positioned for future success in one of Canada’s upcoming zinc production camps,” stated Joel Dumaresq, CEO of Eastern Zinc. The transaction consists of 14 exploration licenses covering 558 mineral claims located in Nova Scotia. FSD Pharma Inc. (CSE: HUGE) and Solarvest BioEnergy Inc. (TSX-V: SVS) have signed an LOI to develop and test pharma-grade cannabinoids made out of algae. Solarvest is a technology company which has developed an algal-based flexible production platform capable of producing health products. Future Farm Technologies Inc. (CSE: FFT) has reached an agreement with its Puerto Rico partner, TCG Investments, owner of the “Clínica Verde” brand of medical cannabis dispensaries, to expand its ownership interest in its Puerto Rico dispensaries. Micromem Technologies, Inc. (CSE: MRM), through its wholly owned subsidiary Micromem Applied Sensor Technologies, Inc. (MAST), announce the following update on the status of the ATRA 171 project it has been developing over the last 5 years with its oil company partner, Chevron Corporation (NYSE: CVX). Per the agreement, the ongoing pilot project is proceeding through on site well evaluation and the commercialization plans for this technology are progressing. Inner Spirit Holdings Ltd. (CSE:ISH) has acquired additional locations in Calgary and Canmore, Alberta. Inner Spirit is developing a retail network of Spiritleaf branded cannabis retail locations across Canada. Dundee Sustainable Technologies Inc. (CSE: DST) filed a patent in Canada, the United States and China for the protection of their cyanide-free gold extraction technology. Organic Cultivation Liht Cannabis Corp. (CSE: LIHT) has entered into a joint venture agreement for a second cannabis cultivation property located in Chase, British Columbia. 1186626 B.C. Ltd. is in the final stages of acquiring a 120 acre parcel of land zoned “Approved Use” by the Thompson-Nicola Regional District for the purpose of developing and operating bio-secure organic cannabis production facilities of up to 486,000 square feet. The project will be financed by 1186626 B.C. Ltd with an approximate cost to lock-up stage of C$81,600,000. Ground work to commence as soon as weather permits. Premier Health Group (CSE: PHGI) is now formally entering the cannabis clinic space. Generation Mining (CSE:GENM) identifies four Zn-Pb base metal drill targets in Nova Scotia. This comes as additional results from the 2018 airborne VTEMTM survey on the western portion of the Rawdon property, where 976 line kilometres of VTEMTM survey were flown in late 2018. Liht Cannabis Corp. (CSE: LIHT) signs $10,000,000 NonDilutive development agreement for its project in Celista, British Columbia. “This opportunity, supported by our proprietary cultivation technology, positions us to take full advantage of the organic market once licensed and certified.” Linda Sampson, President & COO. Harvest Health & Recreation Inc. (CSE: HARV) acquires San Felasco Nurseries, Inc. in Florida, allowing up to 25 dispensaries. With this acquisition Harvest’s footprint now includes more than 40 licenses in 10 states. Canna Candys (under Weekend Unlimited CSE:POT) announces a distribution deal for a million gummies per month. The agreement with Infinity One LLC to distribute Canna Candys products will begin with a rollout of 1 million gummies per month, with additional SKUs to follow beyond candies and gummies. “We have existing relationships with HSN, Target, Bed Bath & Beyond and Amazon in addition to our vast indirect sales channels,” says Mr. Rae Kim, President of Infinity One. Biome Grow Inc. (CSE: BIO) has released its first shipments of finished cannabis product to Newfoundland and Labrador. Products are expected to be delivered directly to retail locations across Newfoundland and Labrador and accessible to consumers next week. A second shipment of finished product will also be sent later this month with an emphasis on independent retail locations. The week was a bit of an anomaly for the overall trend, opening at 836.21 and closing at 832.77. However, the index continues to rise at a steady pace. “Where’s my Trump Bump?” is what I’m hearing from investors this month. How come Canadian stock markets aren’t performing like their American counterparts and why aren’t overseas investors seeing value here? Well, that’s because we’re not looking in the right places. Sure, the TSX is down about 3.1% over the last year, but that exchange is dominated by resource-heavy stocks. 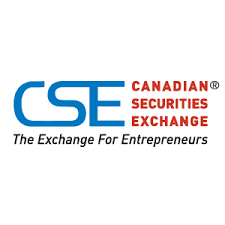 Look to the CSE for dynamic growth: cannabis companies are where it’s at. That’s my opinion and I’m not alone.